Summer fishing has sure been great this summer! Breaking fish in large numbers has happened just about every day! Only tough days were on nasty wind. Haven’t seen any Blues over 5 pounds this summer yet but that may come soon. 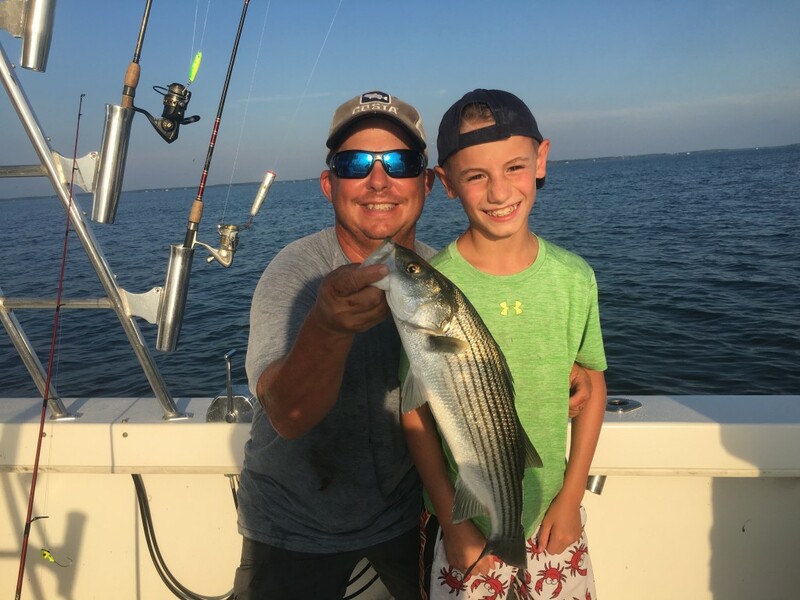 Stripers have been from super small to 23″ in the breaking fish. Catching a few Spanish Macs in the breakers along with the Stripers and Blues. All in all really good stuff! Fly guys have had a ball everytime they’ve slung the fly on my boat this summer. 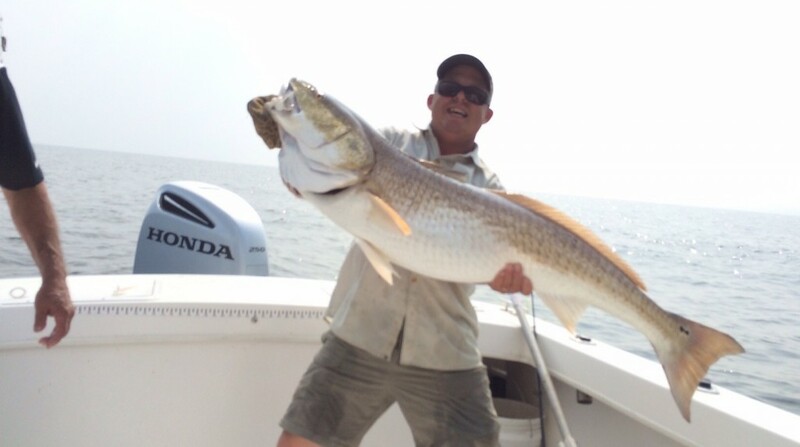 I haven’t seen any of the huge Reds which made a showing last year around this time…….hoping it happens soon! Some nice Macs to be had! Expecting these bad boys to make a showing late this month and in to September! Right now I’m using Z-Man (super stretchy) soft baits on a jighead. These plastics don’t rip….love my BKD’s but Bluefish just tear them up to bits. As soon as the Bluefish thin out I’ll be back to using BKD’s all the time when the need for a plastic arises. Hardhead Custom Baits Jigging Spoons and Specialized Baits “little Bunker Spoons” both in 1 ounce have been on my lines often casting to breaking fish. 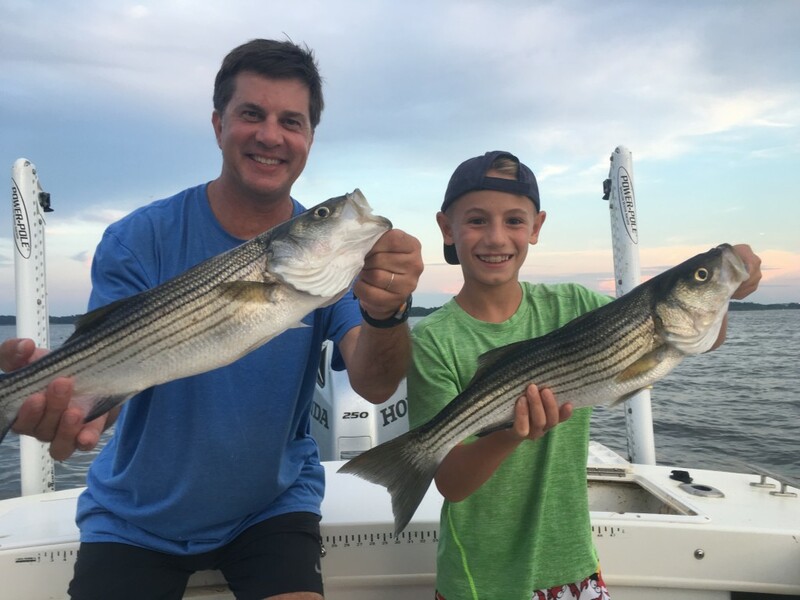 My bigger stripers lately have come in water greater than 25′ deep. Whether you are slinging a metal jig or a plastic get the lures down low if you are marking a thick school of fish. Often lately bigger fish have been at the bottom of the schools of fish. Working baits very fast have caught the spanich macs so far. why I do this job for sure! Catching with kids is just great! 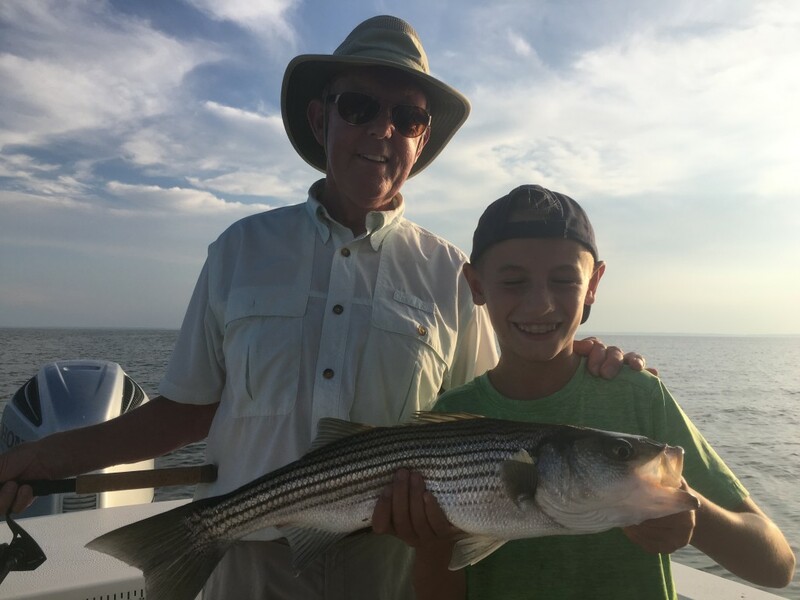 Grandpa and his fishing buddy! Walk on Trip this Tuesday 23 August. We will launch from Solomons at Beacon Marina at 630am and return around 230pm. Jigging and plugging will be on the menu all day. We’ll cover lots of ground chasing down the best fish available. I provide all licensing, baits, tackle and fillet all fish at the end of the day. Great chance to come out and meet some folks who love to fish just like you do. 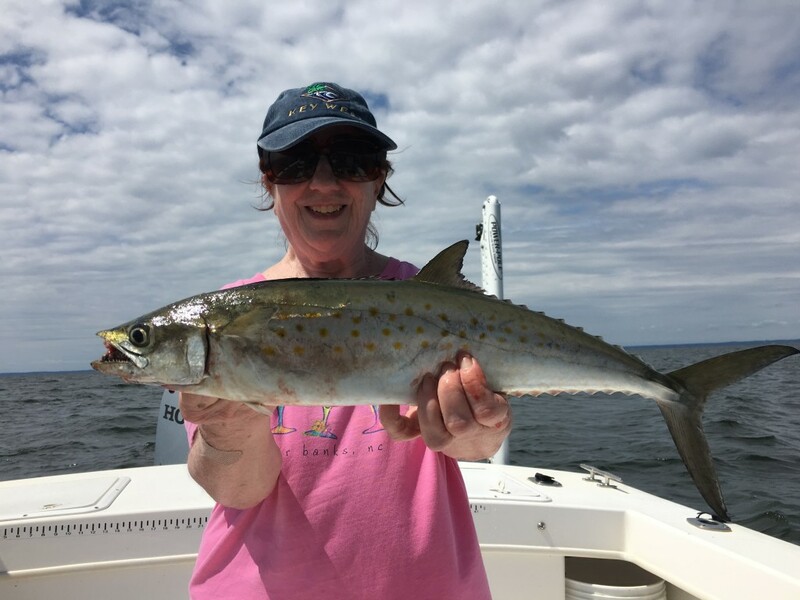 Walk-On Trips have been great this year………come on out and give it a shot! If you want to come down the night before you can stay at the Quality inn for around 75 bucks a night. My boat is the closest boat to the hotel…..about 25 yards out the side door! If you would like to join in on this trip give me a call or text at 703-395-9955 or message here! First five requests are in! 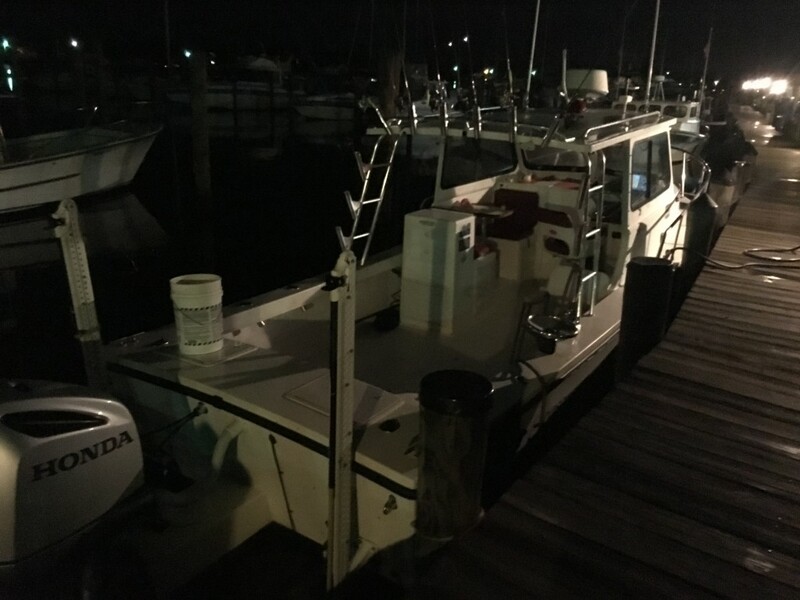 Ready to roll before the sun comes up!